Now my computer isn’t the greatest, but it does what I want it to do. Did a couple of testings. First a decibel reading to measure how quite, IS beQuiet. 46.2 dB right on the power supply. 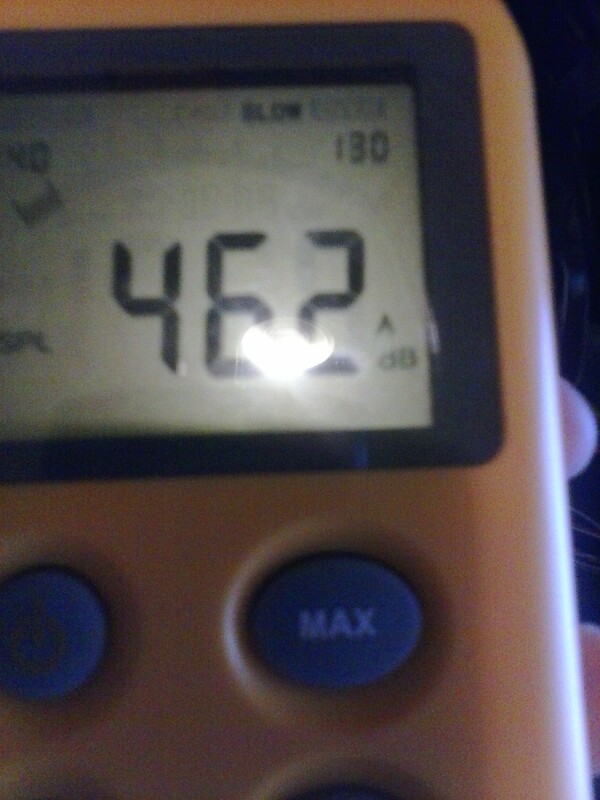 At about 2ft 3inch it goes below 30dB, which this meter cannot read. The PurePower 600w Powersupply running at 100% and you wouldn’t even notice it is there. If you’re one to go quiet, beQuiet! Definatly makes their mark. The other test I performed was the speed of the fan. I did 3 different measurements. I would recommend this power supply to anyone to help make their computer quieter. Don’t like your current supply, or is it too loud, but don’t want to spend $$ on a modular one? The PurePower Line is pretty perfect for you then. The PurePower line comes in 300w, 350w, 400w, 500w, 600w and 700w. It also has a semi-modular lines as well, PurePower CM, those come in, 430w, 530w, 630w, and 730w. For more information on Be Quiet! and their awesome super quiet products, please visit their website http://www.bequiet.com/en. Also please stay tuned to our website for more reviews on their products!